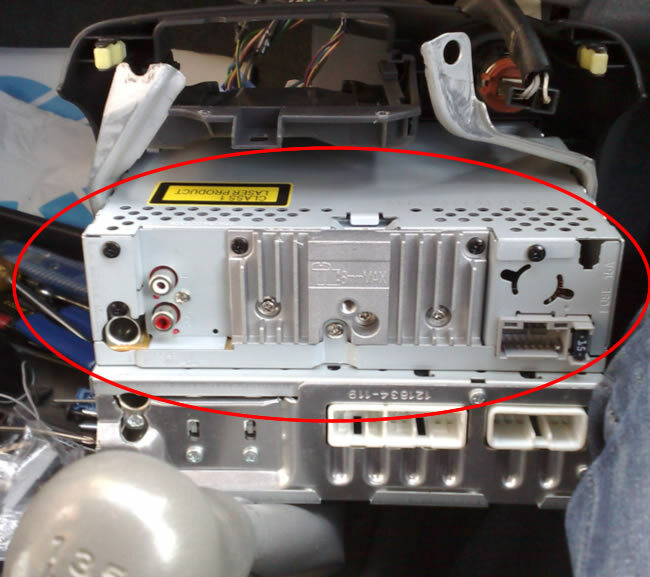 274 Users Responded in " Fitting a CD Player into a Toyota Yaris "
Hi, I’m back again…didn’t get any solution from anybody regarding fitting the radio to 99 Yaris…does this mean I will have to go to an auto electrician ? Regards, Mick. 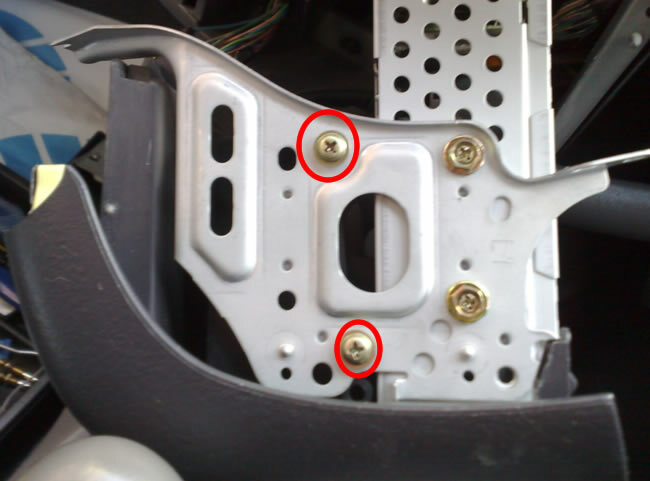 the only thing I can say is that I fitted it myself successfully (see above on this thread)on a Toyota Yaris 2001. Unless there is any difference in the models you should be able to do it too – as I am not a great mechanic, but am reasonably practical. Check to see whether the models are different?? Look at my posts above. 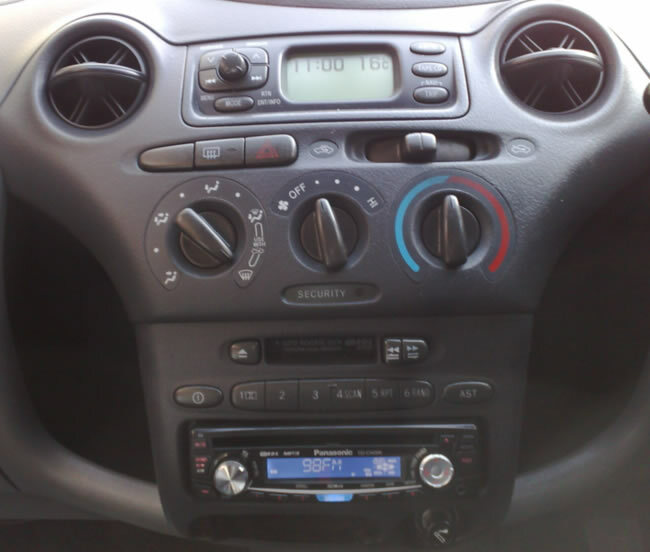 I have recently bought a 2001 Toyota yaris with an original Tape player and no CD player – just like the image above. 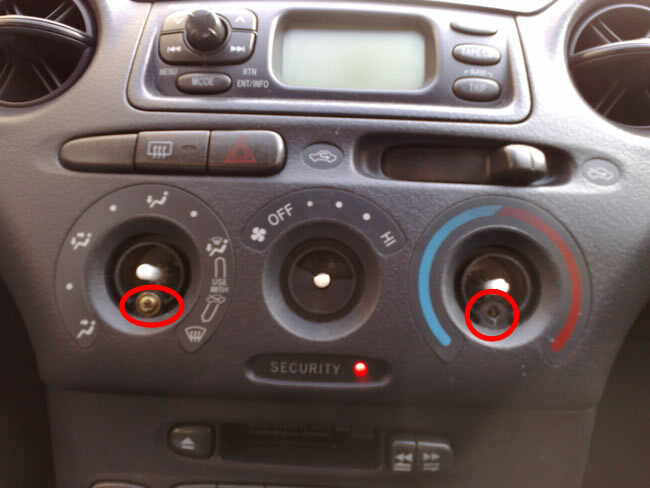 Since buying the car the sound as competely stopped working – however you can change the radio stations, bass and turn the display on/off, just no sound at all comin from either speakers. I have had it checked over by a handyman and there is no problem with fuse, aerial or connections in the back so can you suggest what the prob might be? Can you help please? thanks!! 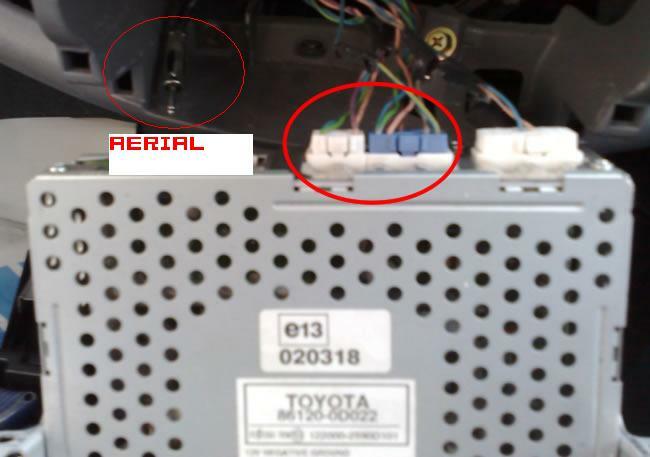 Any input on how to change the 2 front speakers of the Yaris and what replacement speakers to use? A question though if you dont mind. 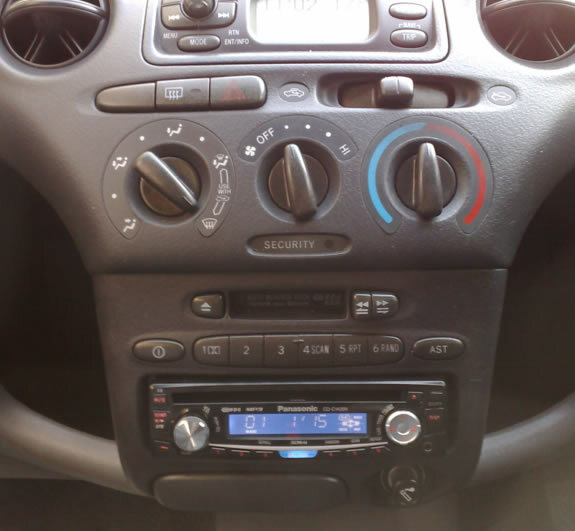 I have previously using your guide fitted a cd player in a X reg yaris with out any problems. 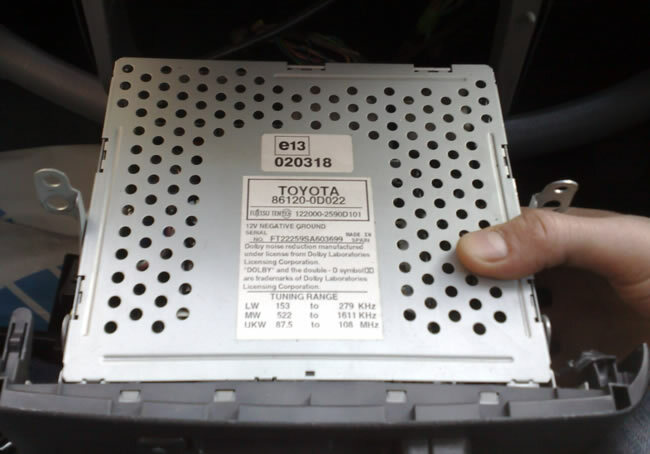 A fried has now askied me to fit one in to a 2003 yaris can you please tell me are the fitting instructions the same as it has a different looking dash board than the X reg. I have experienced the same problem as you. Did you manage to work out what was wrong in the end? 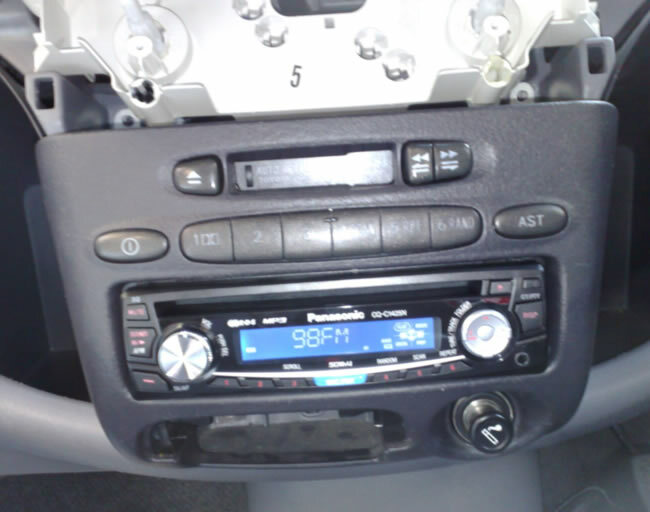 I have just bought a second hand 03 Yaris, with a Toyota CD player already fitted in the pocket. 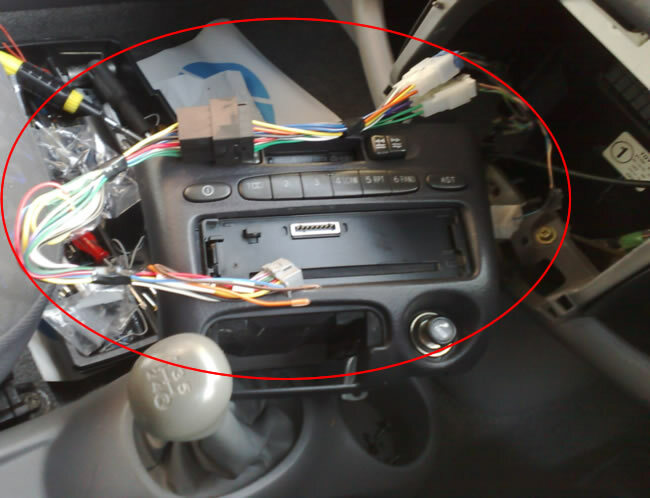 As I want to fit an aftermarket CD player to plug my iPod in, do I just complete the same process? 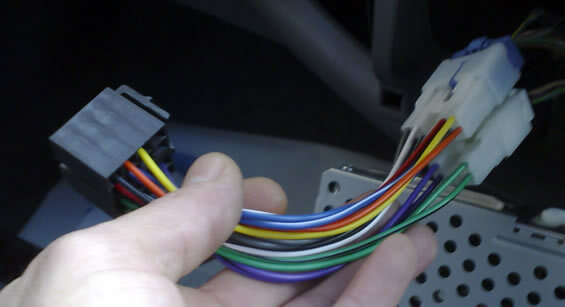 Will I still need to buy an adaptor loom, or will one be attached to the Toyota CD player? 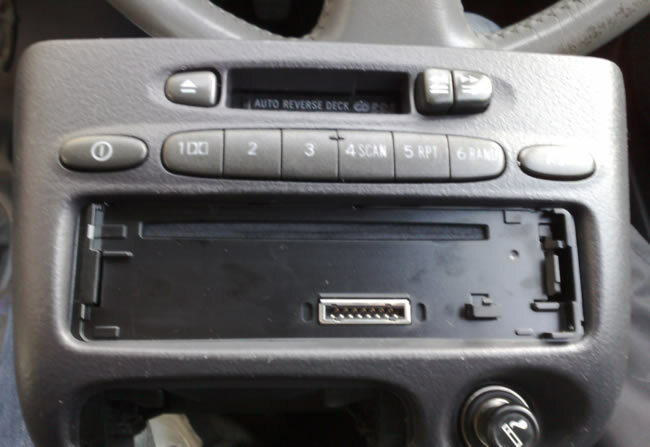 i have a yaris 1999 it doesn’t have the tape deck just the cd player and radio would i still be able to install a new unit without any problems? Muchas gracias, muy bueno, ya conecté mi audiocar Pioneer DEH-1400UB y sin ningún problema, seguí todas sus instrucciones y perfecto. 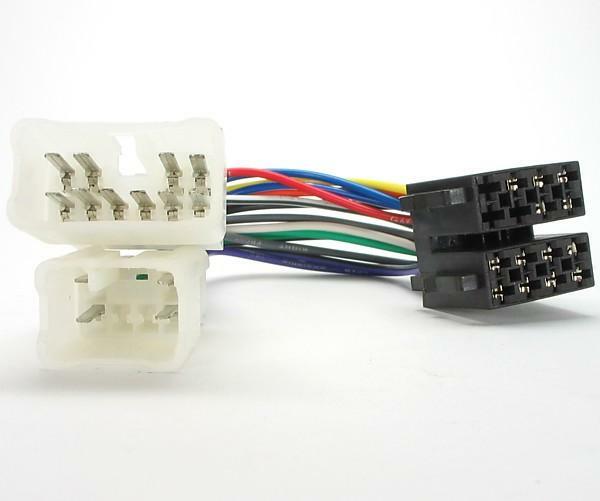 Me compre el conector PC2 17-4 para Yaris y me ahorré la mano de obra unos 30 €. 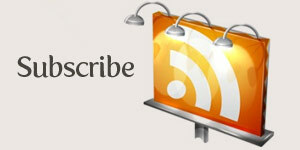 Muchas gracias por tan buena publicación. Great!, Cheers very much for this, i just fitted a CD player into my old Yaris and it sounds great!, even tempted me to clean the car. Instructions spot on and even took me less than 15 mins (unbelievable for me). This probably saved me an hour trying to figure out where all the screws were. Job done. Thanks much. 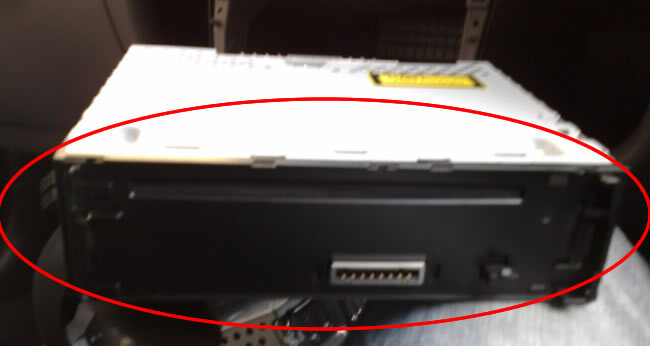 i folowed the guide put all of it back together but when i turn the car on nothing works my old desplay is not on and the cd player is not on as well? 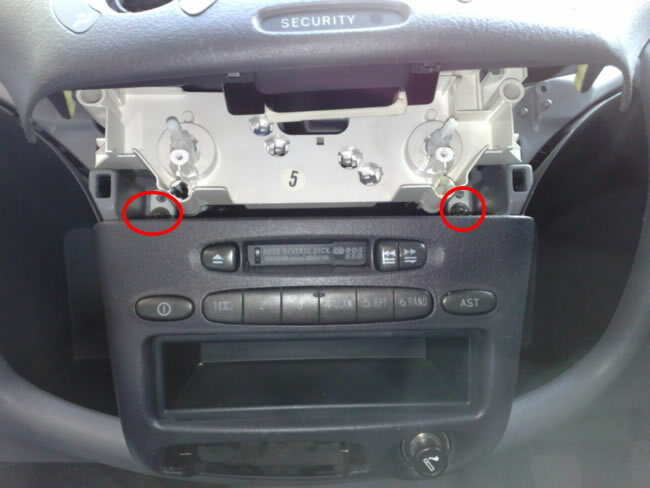 Hi, tried following this guide for a 05 yaris (interior looks exactly like the pictures). 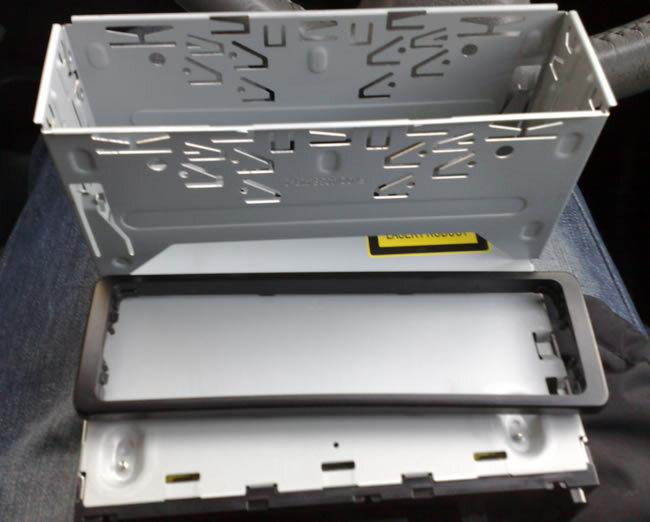 I removed the four screws but can’t pull the radio out! The lower half comes free but the top wot budge! Any help would be appreciated! Excellent explanation! The cd player works like a charmin the 2000 Yaris, and the on board trip info still works fine. Thank you very much. 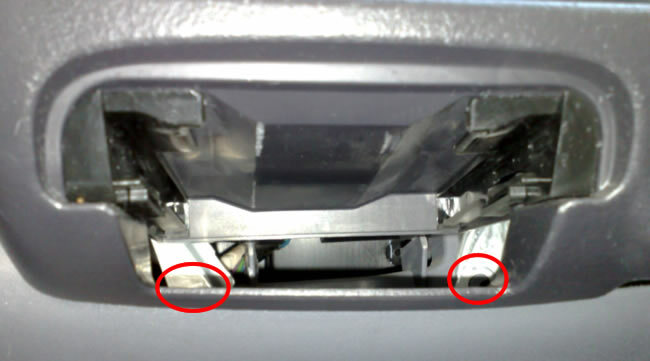 About Hugo’s question: it took a slight force to pull the radio out, but it should be a big struggle. Otherwise, something may have changed with the 2005 model. 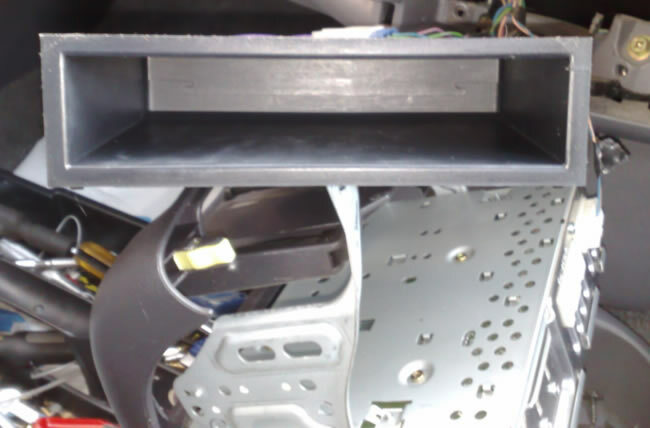 Fitted the new Kenwood CD player as per guide and worked great.Until turned side lights and 7.5 amp fuse blows. Existing cassette wired back no problems. Notice the Kenwood has a built in 10 map fuse. Will the unit need wiring to a different circuit as it seems more powerful than the old unit? Thanks.